1 five eighths Inch Rotary Hammer Rental – Bosch 11264EVS , is available for rent in Rochester NY, Ithaca NY and the entire Western New York region from the Duke Company. 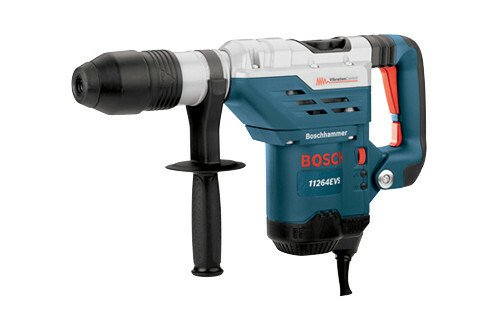 The rental Bosch 11264EVS 1-5/8” SDS-Max® Rotary Hammer can be rented, is featured by power to weight ration of – 13 Amps, 6.8 feet / pounds impact energy and 8.1 pounds. It has active vibration control, and one-hand SDS for one-hand tool free changing of bits.